Last night PEN America announced the winners of its 2018 Literary Awards. The annual awards, which this year totaled more than $350,000, are given for books of poetry, fiction, creative nonfiction, and translation published in the previous year. Below are the winners of a select few prizes. Jenny Zhang won the $25,000 PEN/Robert W. Bingham Prize for Debut Fiction for her story collection, Sour Heart (Lenny). The prize is given for a first novel or story collection. Mia Alvar, Rion Amilcar Scott, Justin Torres, and Claire Vaye Watkins judged. Alexis Okeowo won the PEN Open Book Award for her nonfiction book, A Moonless, Starless Sky: Ordinary Women and Men Fighting Extremism in Africa (Hachette). The award is given for book of any genre by a writer of color. Eduardo C. Corral, Kaitlyn Greenidge, and Amy Quan Barry judged. Len Rix won the PEN Translation Prize for his translation from the Hungarian of Magda Szabó’s novel Katalin Street (NYRB Classics). The prize is given for a book-length translation of prose from any language into English. Eric M. B. Becker, Lisa Hayden, Jenny Wang Medina, Denise Newman, and Lara Vergnaud judged. The late Ursula K. Le Guin won the $10,000 Pen/Diamonstein-Spielvogel Award for the Art of the Essay for her essay collection No Time to Spare: Thinking About What Matters (Houghton Mifflin Harcourt). Vinson Cunningham, James Fallows, and Gillian Tett judged. Edmund White received the PEN/Saul Bellow Award for Achievement in American Fiction, and Edna O’Brien received the PEN/Nabokov Award for Achievement in International Literature. Both awards are given for a body of work. Visit the PEN website for a complete list of winners and finalists. Prose writers! There’s no time like the present to submit your best short stories, essay collections, and novel manuscripts to the following contests with deadlines of February 28 and March 1. The contests all offer publication and cash prizes ranging from $1,000 to $10,000. Good luck! Restless Books Prize for New Immigrant Writing: A prize of $10,000 and publication by Restless Books is given in alternating years for a debut book of fiction or nonfiction by a first-generation immigrant. The 2018 prize will be given in fiction. Writers who have not published a book of fiction with a U.S. publisher are eligible. No entry fee. Submissions are currently open for the Crook’s Corner Book Prize. An award of $5,000 is given annually for a debut novel set in the American South published in the previous year. 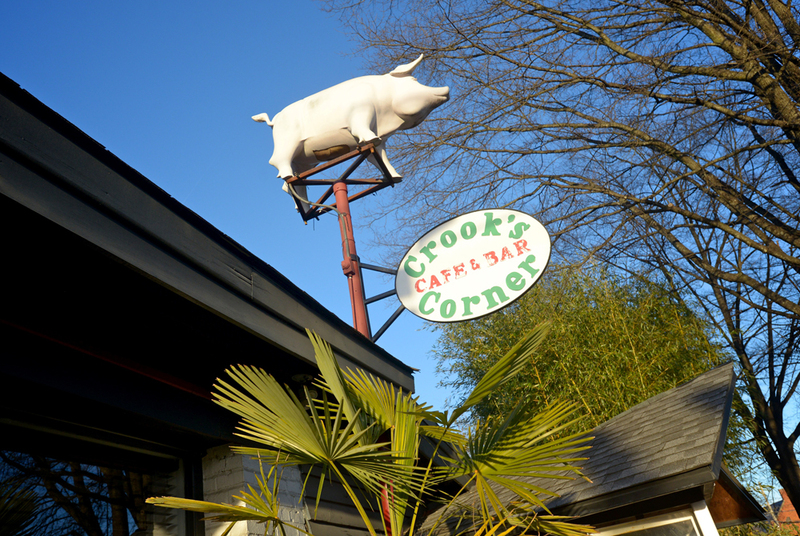 The winner will also be entitled to a complimentary glass of wine each day for a year at Crook’s Corner Café & Bar in Chapel Hill, North Carolina. Tayari Jones will judge. The author may live anywhere, but eligible novels must be set primarily in Alabama, Arkansas, Florida, Georgia, Kentucky, Louisiana, Maryland, Mississippi, North Carolina, Oklahoma, South Carolina, Tennessee, Texas, Virginia, or West Virginia. Self-published books are eligible, but e-books are not. Authors and publishers may submit two copies of a book (or bound galleys) published between January 1, 2017, and May 15, 2018, with a $35 entry fee by May 15. The winner of the 2018 prize was Stephen O’Connor for his novel, Thomas Jefferson Dreams of Sally Hemings. Visit the website for the required entry form and complete guidelines. Submissions are currently open for the Hippocrates Prize Open International Award. A prize of £1,000 (approximately $1,400) and publication in the Hippocrates Prize anthology and on the Hippocrates Initiative website is given annually for a poem on a medical theme. An additional prize of £1,000 is given for a poem on a medical theme by a health professional. Using the online submission system, submit a poem of up to 50 lines with a £7 (approximately $10) entry fee by February 14. The judges will announce the winner at the 2018 International Symposium on Poetry and Medicine. Poet Mark Doty, multi-genre writer and medical practitioner Peter Goldsworthy, and poet Carol Rumens will judge. Established in 2009, the Hippocrates Initiative for Poetry and Medicine also sponsors an annual award for young poets and publishes books of poetry through Hippocrates Press, including Comfort Measures by author and doctor Rafael Campo. The organization also hosts the Hippocrates Society for Poetry and Medicine, an international forum of readings, workshops, and other programming to discuss the relationship between poetry and medicine. Visit the website for the contest entry form and complete guidelines. Submissions are now open for the third annual Whiting Creative Nonfiction Grant. Individual awards of $40,000 are given to up to eight writers in the process of completing a book of creative nonfiction. Creative nonfiction writers currently under contract with a U.S. publisher and at least two years into their contract are eligible. Writers of color are particularly encouraged to apply. Accepted book categories include history, cultural or political reportage, biography, memoir, the sciences, philosophy, criticism, food writing, travel writing, and personal essays, among others. Using the online submission system, submit up to three chapters of a manuscript-in-progress, the original book proposal, a signed and dated contract, a statement of progress, a résumé, a letter of reference from the publisher, and two additional letters of reference by May 2. A panel of four anonymous judges will select the winners from a list of fifteen finalists; the grantees will be announced in the fall. Previous recipients include Sarah M. Broom for The Yellow House, forthcoming from Grove Press; Pacifique Irankunda for The Times of Stories, forthcoming from Random House; and Julie Phillips for The Baby on the Fire Escape, forthcoming from W.W. Norton. Visit the website for a full list of previous grantees and complete application guidelines. The winner will also receive travel expenses to read at the 2019 Blue Light Reading in Bloomington, Indiana. Short story writer and novelist Samrat Upadhyay will judge. Using the online submission system, submit a manuscript of 35,000 to 45,000 words with a $20 entry fee by February 9. Cosponsored by Indiana Review and Indiana University Press, the Blue Lights Book Prize is given in alternating years for a collection of poetry or a collection of short fiction. The 2017 winner in poetry was Jennifer Givhan for her collection, Girl With Death Mask, selected by Ross Gay; the 2016 winner in fiction was Andrea Lewis for her collection, What My Last Man Did, selected by Michael Martone. Visit the Indiana Review website for complete guidelines, and check out the Poets & Writers Grants & Awards database and Submission Calendar for more upcoming contests in poetry, fiction, and nonfiction. 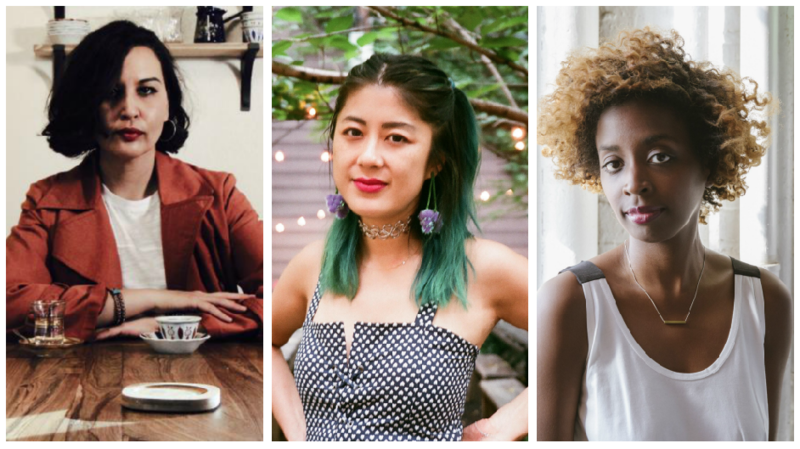 The three nonfiction writers will each receive a stipend of $14,000 and career mentorship from BuzzFeed News’s senior editorial staff. 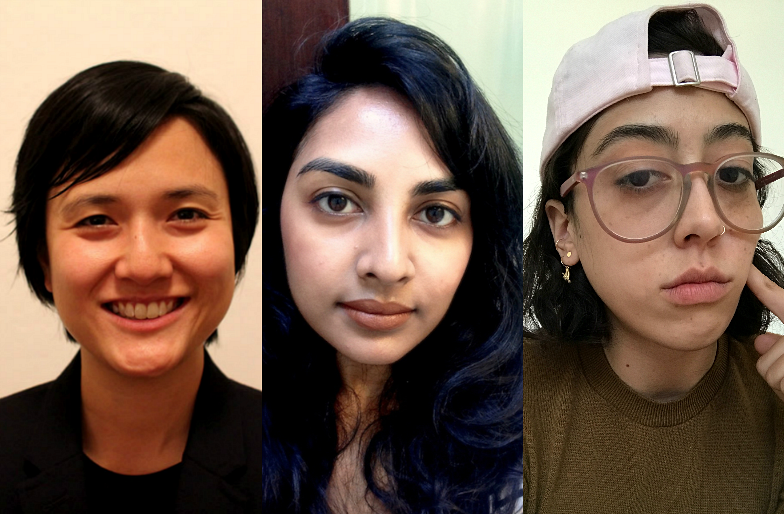 Beginning in March, the fellows will spend four months at BuzzFeed’s offices in New York City and will focus on writing cultural reportage, personal essays, and criticism for BuzzFeed Reader. Min Li Chan is an essayist and technologist based in San Francisco and Detroit. She is deeply invested in the essay’s possibilities for expansive inquiry and productive provocation. Her recent essay for the Point interrogates the moral contradictions of being a tech worker amidst Silicon Valley’s profound socioeconomic inequality. Adriana Widdoes of Los Angeles is a writer and coeditor of Which Witch L.A., an indie publishing project that produces female-centered projects exploring narrative through research, image, and text-based works. You can read an excerpt of Widdoes’s recent essay “Marshmallow Mayonnaise,” which was published on the Los Angeles Review of Books vertical Voluble. BuzzFeed’s editorial staff selected this year’s fellows from a pool of more than four hundred applicants. Launched in 2015, the fellowship’s mission is to expand the media landscape and empower emerging writers, particularly those who are “traditionally locked out” of media opportunities. Read an interview with Karolina Waclawiak, BuzzFeed’s executive editor of culture, about the program’s growth over the past few years. Poets, do you have a group of poems or a full-length collection ready to submit? Consider the following six contests, which are open for submissions until January 31. Each contest offers a prize of at least $1,000 and publication. Submissions are currently open for the Desperate Literature Short Fiction Prize. 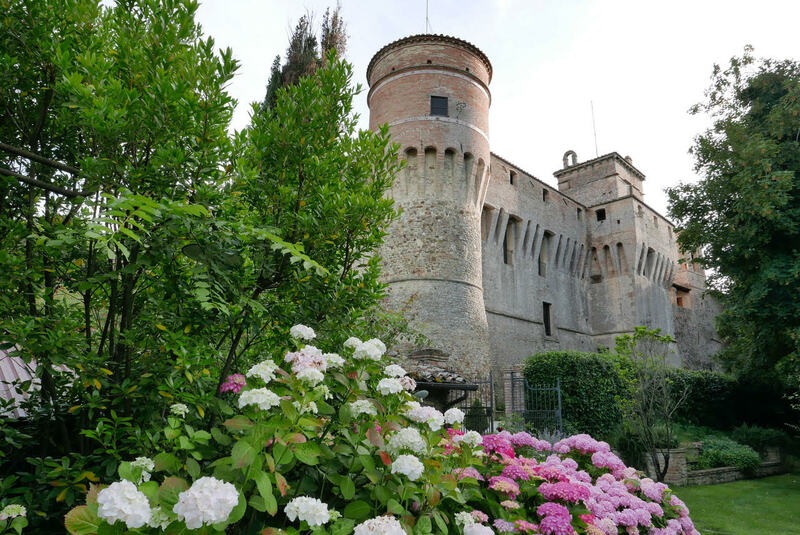 An award of €1,000 (approximately $1,220), a weeklong residency at the Civitella Ranieri Foundation in Umbria, Italy, and a consultation with literary agent Adriann Ranta Zurhellen of Foundry Literary + Media, will be given for a short story. The winner and two runners-up will also receive publication in 3:AM Magazine, Structo Magazine, and A Women’s Thing, and will be invited to participate in events at the Desperate Literature Bookstore in Madrid, Shakespeare & Company in Paris, and the Rizoma Film Festival in Madrid in June. The dates of the events will be announced at a later date. Travel and lodging expenses are not included. Using the online submission system, submit an unpublished story of up to 2,000 words with a €20 entry fee (€10 for each additional entry) by February 14. 3:AM editors Hestia Peppe and Eley Williams and Structo editor Euan Monaghan will judge. Established by the Desperate Literature Bookstore in Madrid, the prize aims to celebrate “not just the best of brief fiction, but the continued growth of an Anglophone literary community in Madrid.” Visit the website for the required entry form and complete guidelines. Prose writers! If you have a story, essay, novel, or memoir ready to submit, below are ten writing contests to consider. Each contest offers a prize of at least $1,000 and has a deadline of Wednesday, January 31. Ohioana Library Association Walter Rumsey Marvin Grant: A prize of $1,000 is given annually to an Ohio fiction writer or creative nonfiction writer age 30 or under who has not published a book. Writers born in Ohio or who have lived in Ohio for a minimum of five years are eligible. No entry fee.